It all started back in 1980 when an anticipated Irish Wolfhound litter did not eventuate. I had shown Irish Setters in a previous life and when I saw a picture on the front of our local paper of a wheelbarrow loaded with 11 Gordon puppies I were smitten. The rest is history. I have been very fortunate that I have had some magnificent dogs over the years and have used only quality sires from some of the top Gordon Kennels in Australia. I have bred numerous show, obedience and agility champions and Lochtay Gordons have also bred dogs that have gone on to get their Retrieving and Jumping titles. I endeavour to breed sound dogs with brains as well as beauty and having the best temperaments to adapt to family life. All dogs are health tested before breeding. Gordons are not a dog for the backyard, they need to be involved in family activities. Being the quiet achievers, I only breed when I want something for myself and are very particular in choosing our puppy owners. Quality, not quantity and matching the right dogs with the right owners has proven to be a winning combination. 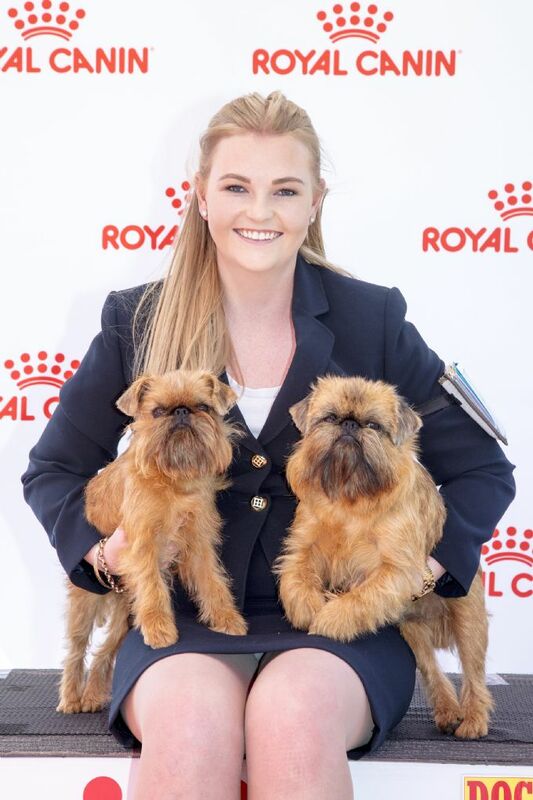 Then, as we all need to face one day as either being too old or physically unable to run with the large dogs due to bilateral knee replacements, I made the change to a lovely smaller breed, the Griffon Bruxellois. Although only a new person in this breed, I am learning fast on the grooming techniques and the unique characteristics of these special little people. I am a partner of the highly successful Griffons of Tzani, working with Diana Norman and Tim Mills in promoting and breeding Griffons.